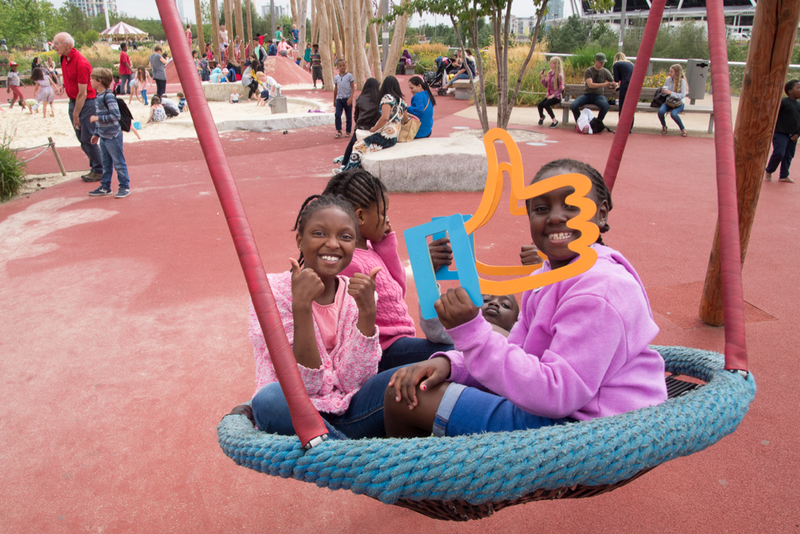 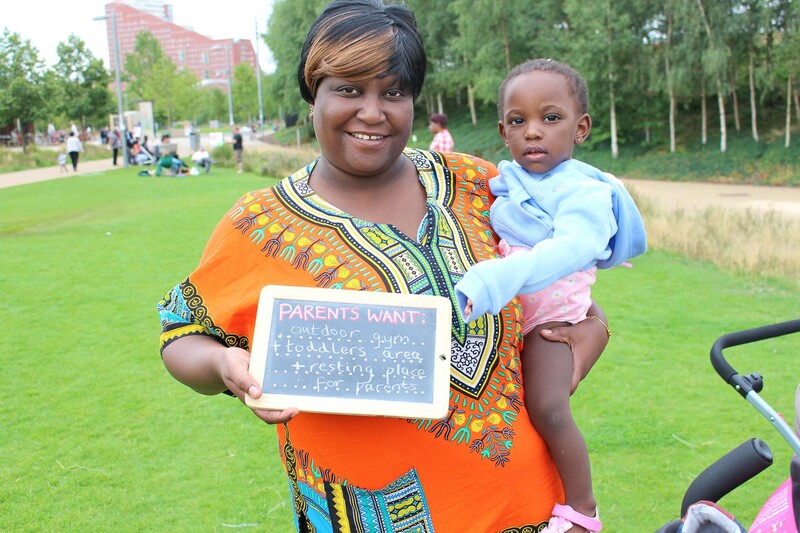 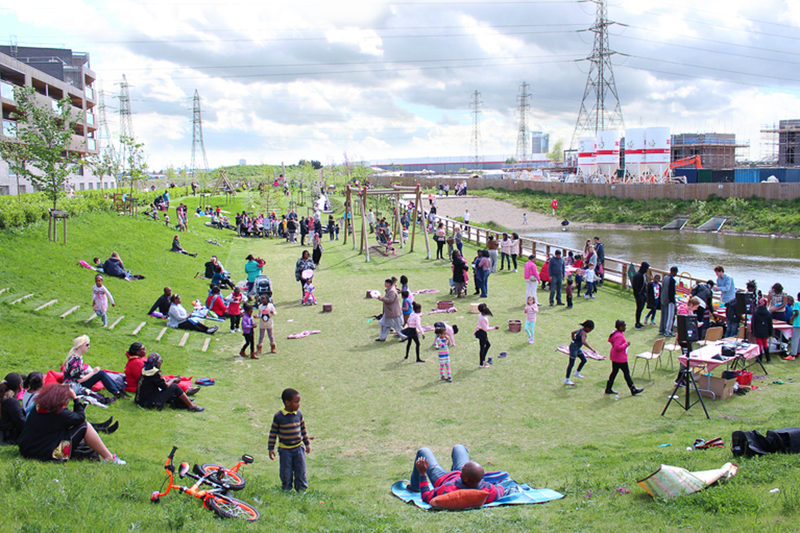 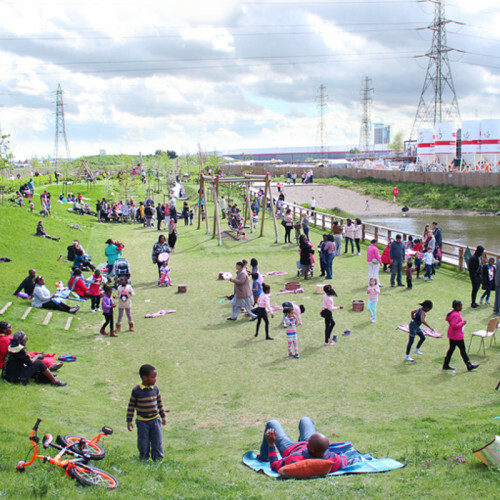 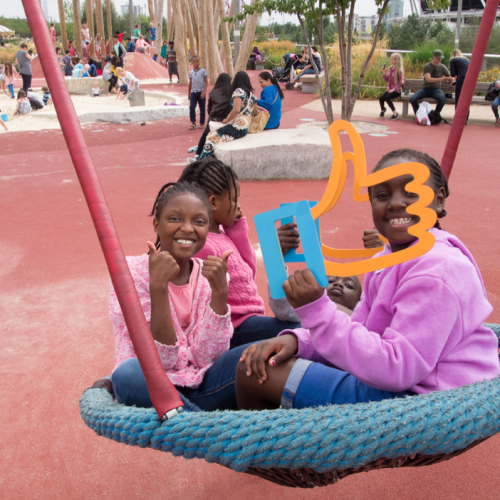 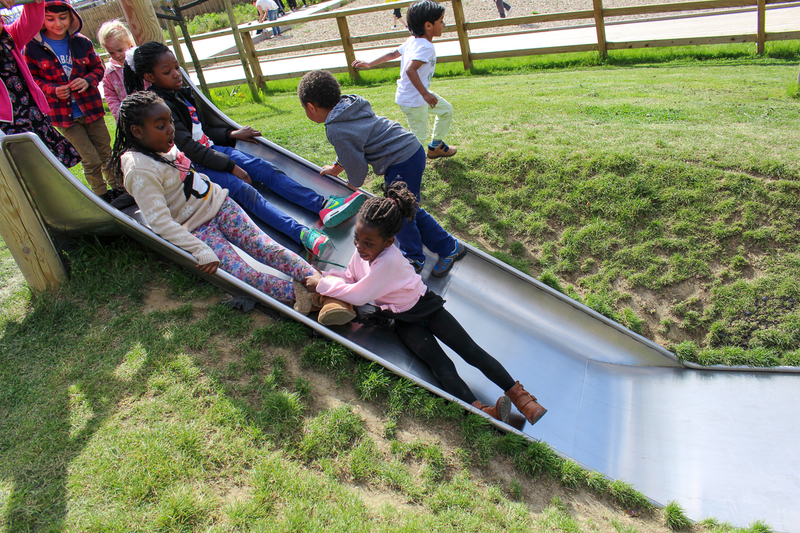 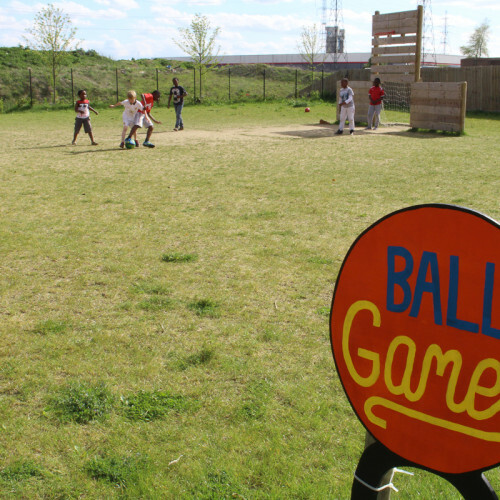 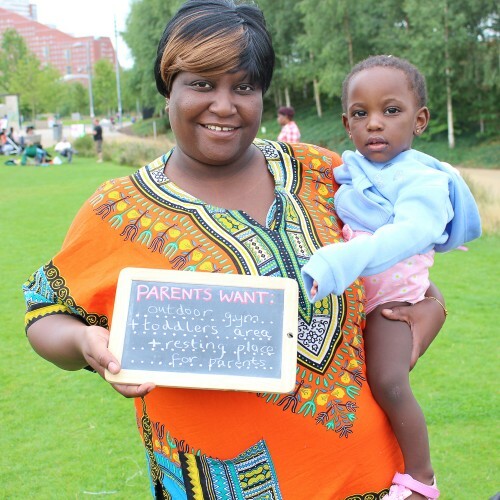 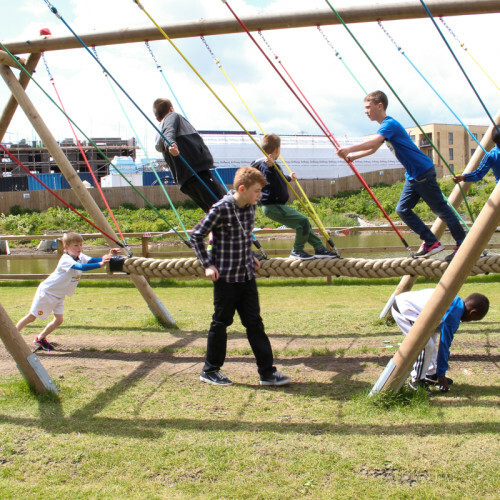 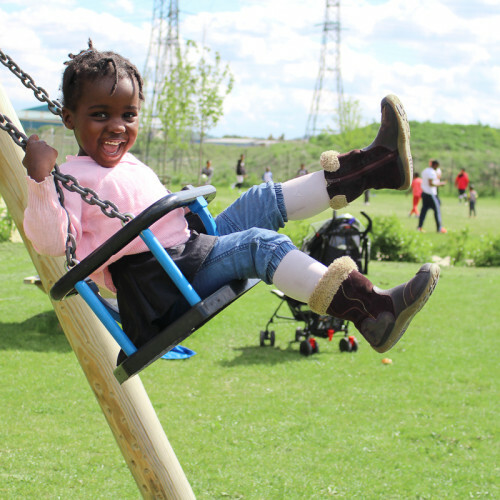 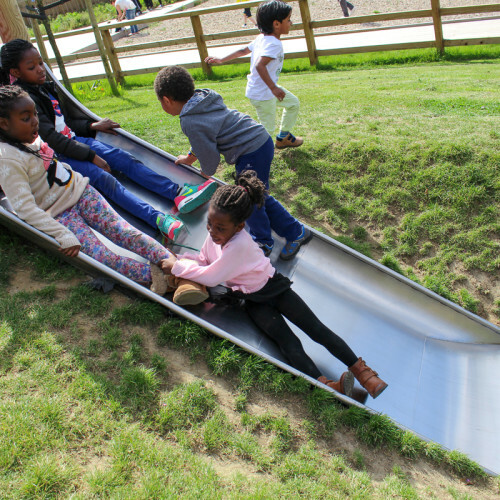 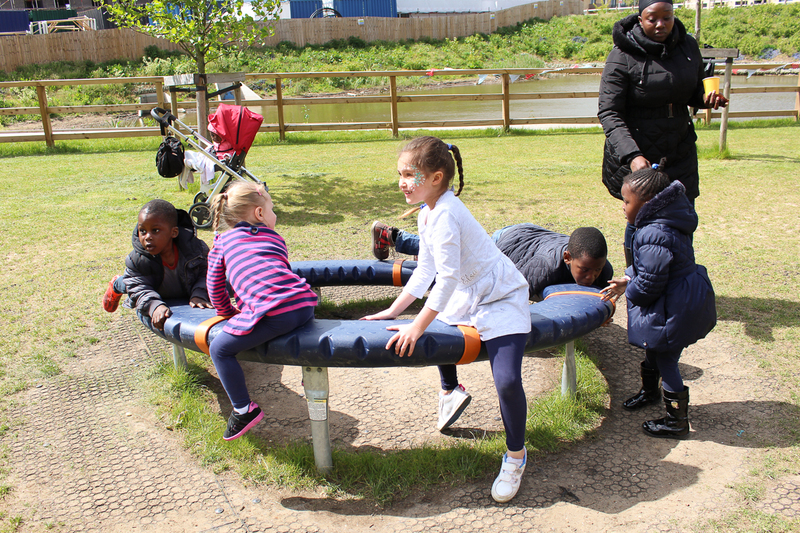 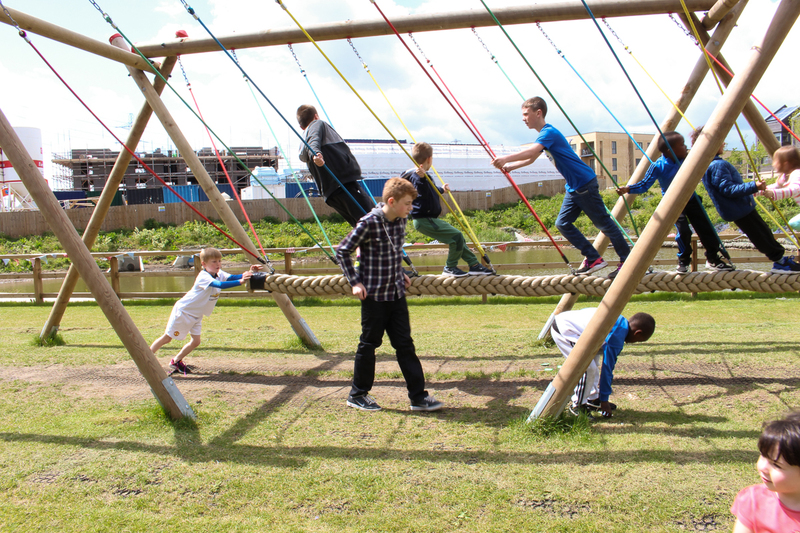 We have worked with Barking Riverside Limited on a number of play areas over the years to help them understand what the barriers to using the existing play provision have been and help co-design new play spaces for current and future residents to enjoy. 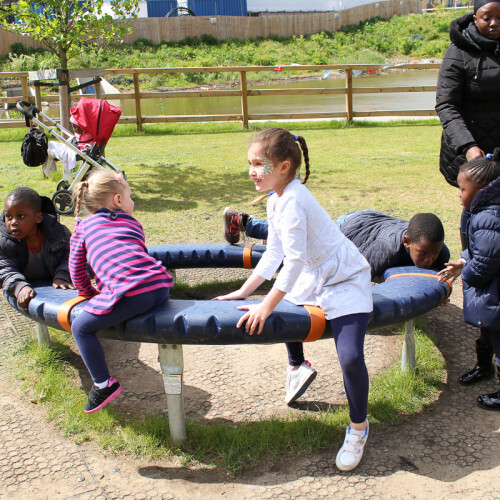 Using workshops, pop-ups, study trips and celebration events we have helped create well used and well loved areas for play and enjoyment for all ages in this fast growing area of London. 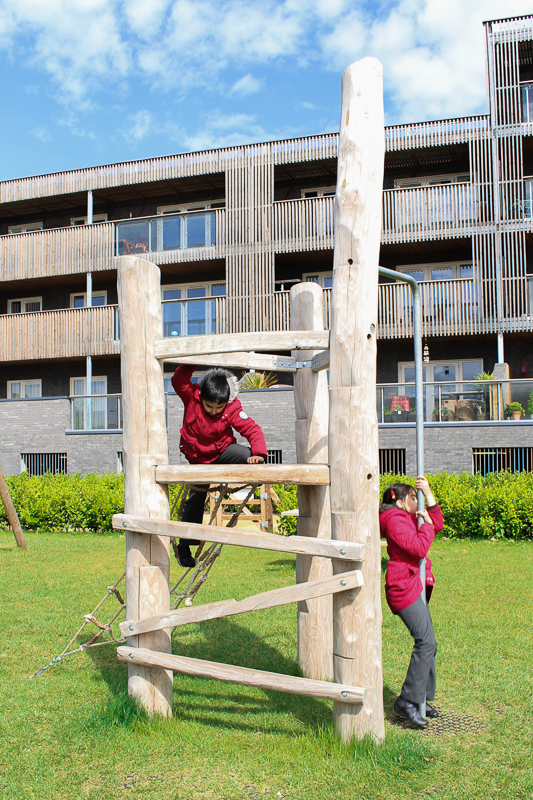 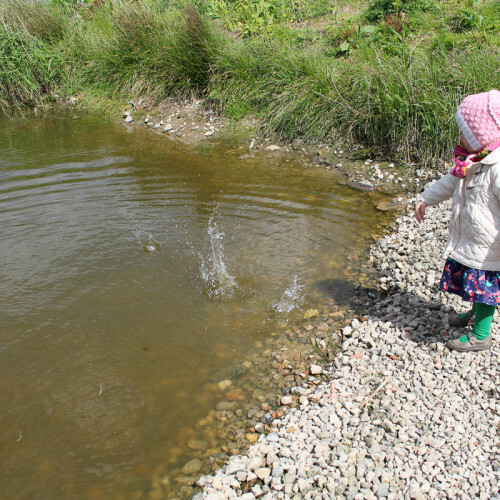 We began with a walkabout through existing spaces with our photo frames to capture existing provision and analyse what worked and what didn’t work, we then took 20 parents and 27 children on a study trip to get inspired and see a range of play spaces. 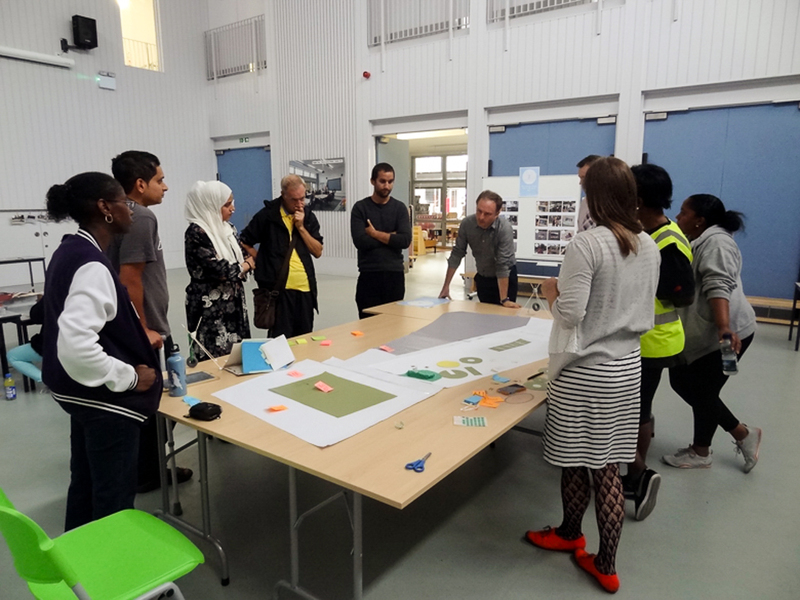 With imaginations fuelled we helped a workshop to prioritise ideas, draw, make models and look at the budget. 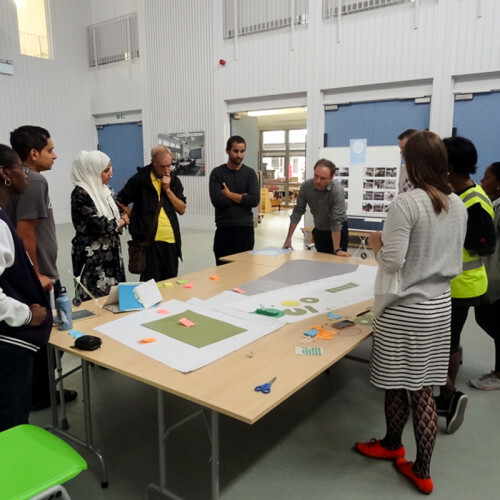 After many iterations we agreed a final design and drew up detailed plans and specifications. 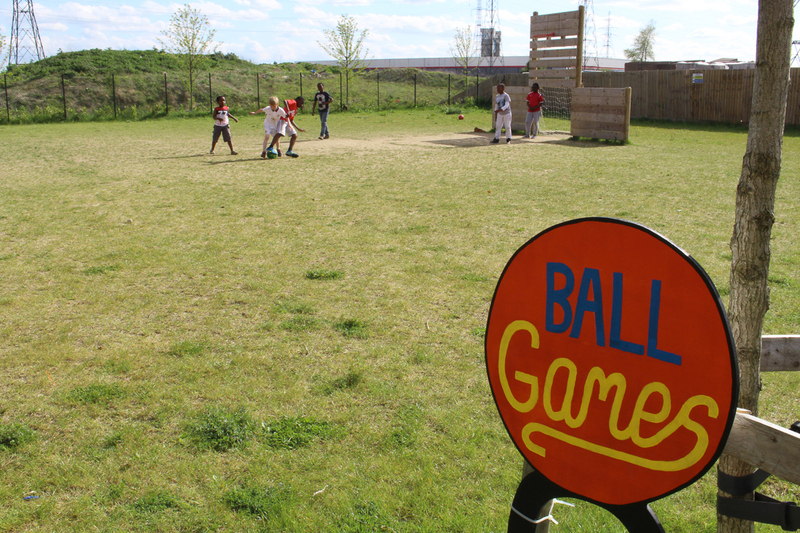 To reignite enthusiasm prior to the opening we ran a sign making workshop in the local primary school to create bespoke signage that is featured on each of the gates. 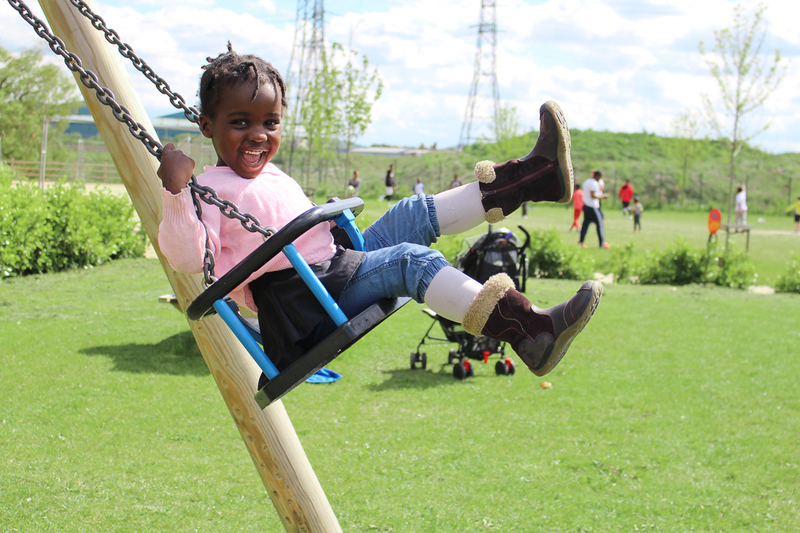 The playground is now open for public use and much enjoyed by all; it was opened with a celebration collaborative produced by local parents. 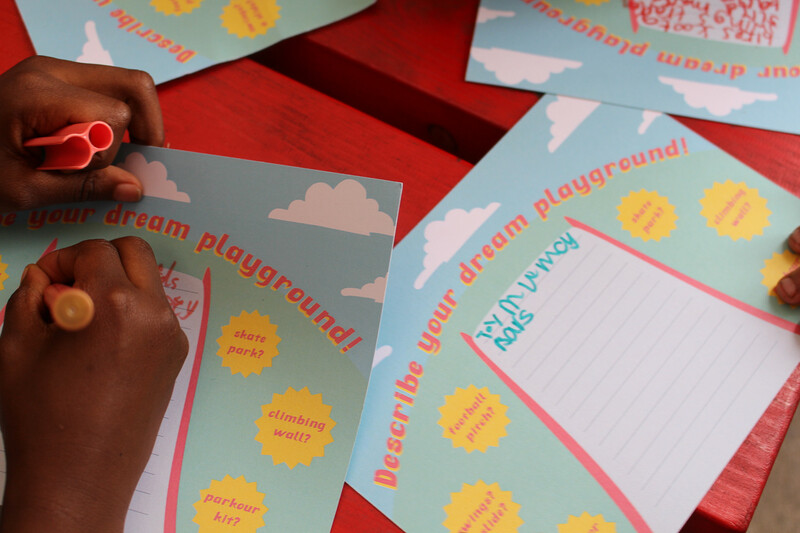 To Help establish what local people would like to see in a forthcoming large play area we created a playable, interactive structure called “The Mobile Cardboard Play Factory” to spark curiosity, prompt conversation about play and offer a variety of play types and activities to get kids and parents thinking about what they would like to see in the new playground and invite them on a study trip to the Olympic Park. 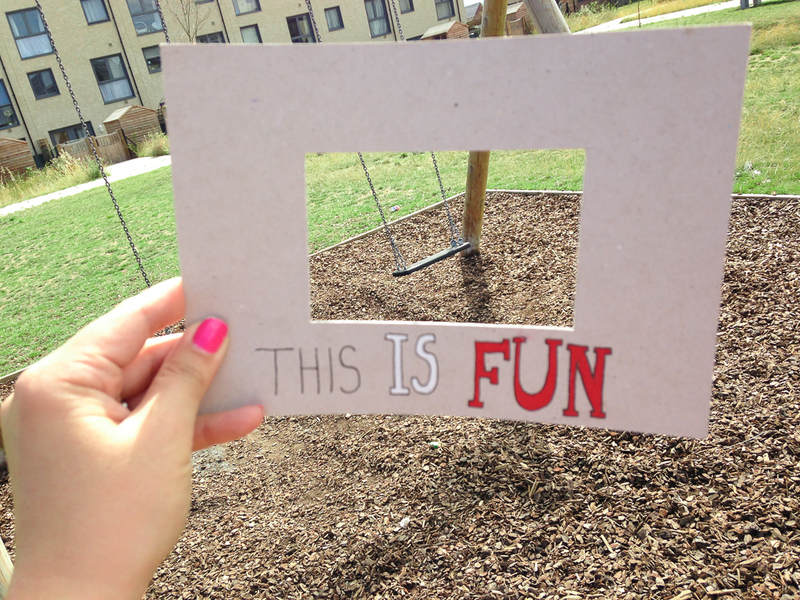 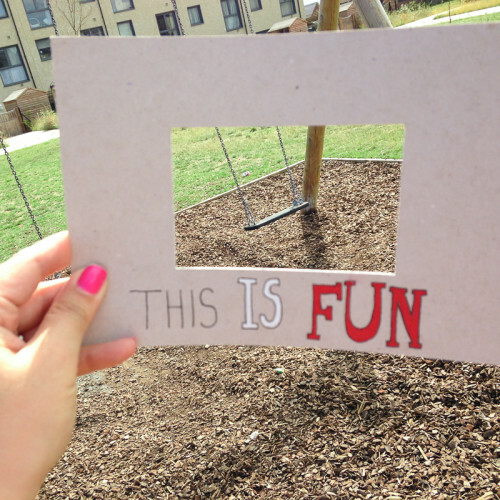 The components could be used individually or slotted together and spelled out the word “PLAY”. 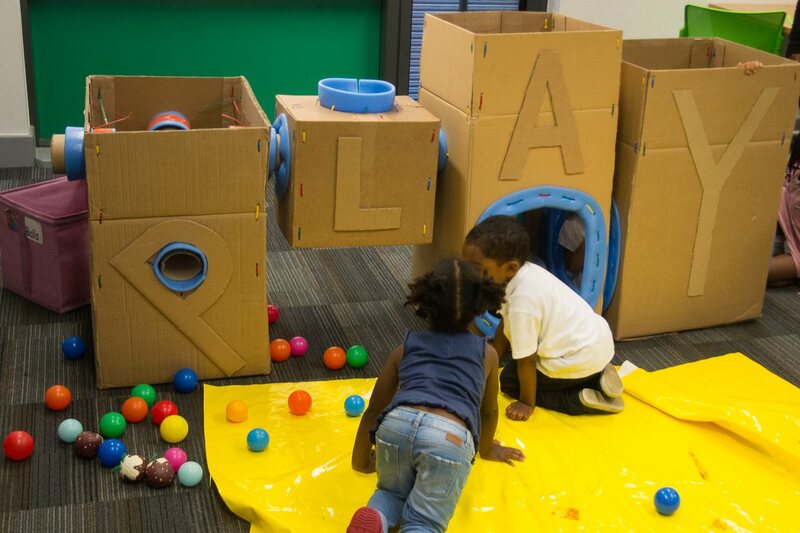 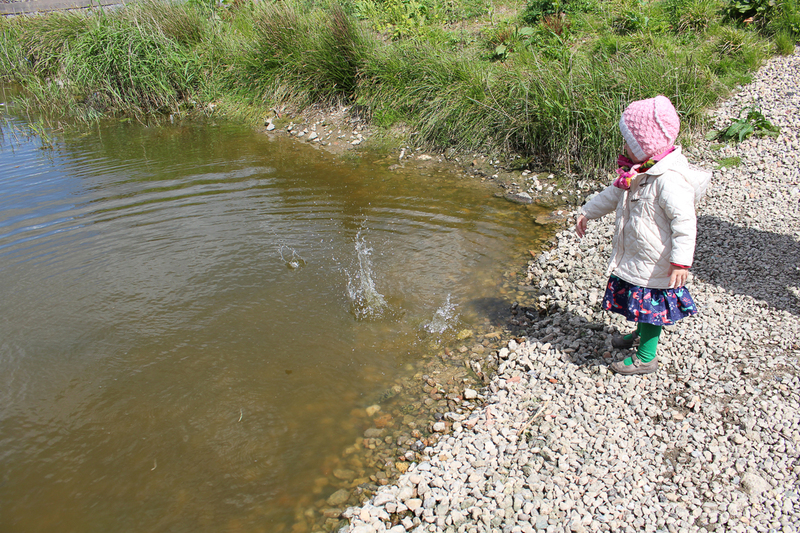 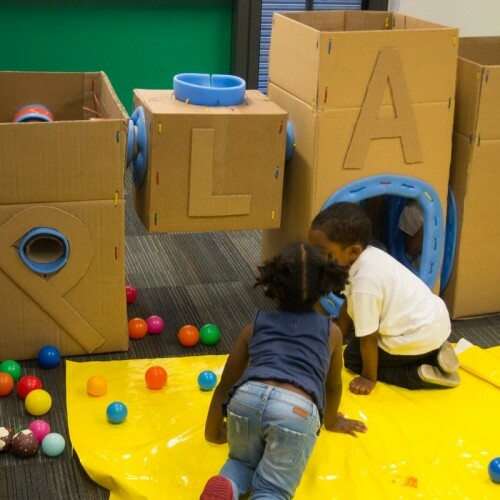 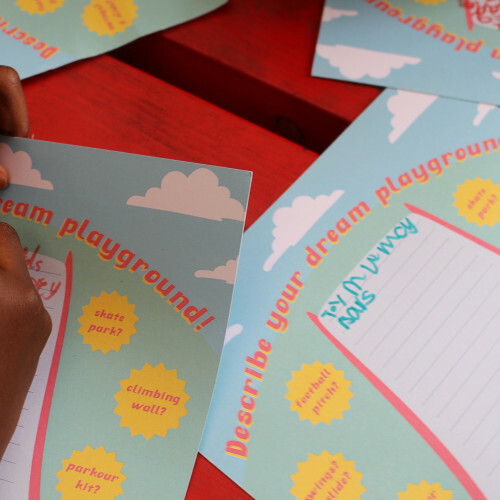 We took the Play Factory to a nursery as well as “popping-up” at local family events which proved a great success. 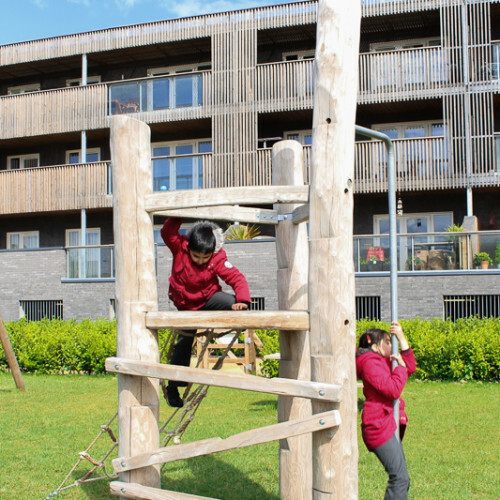 To read more about our engagement, click here.